Books play a large part of our day to day activities. One of our goals is to make hard to find publications available to a wider audience. Many of our transcriptions come from publications that are long since out of print and difficult to obtain. The information in these books can be of immense value to researchers, and as such deserves to be more accessible. If you have a publication you feel would be a useful transcription project please contact us. 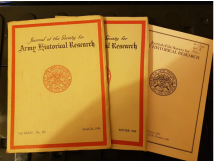 We know these books are out there - our page for the transcription of the Wishaw Roll of Honour details that there were similar publications - we know of one for Carluke and Law villages for example - do you have a copy of this? If so, we would love to hear from you. One of our (very) long term goals is to one day have premises where people can visit to carry out their research. That's a long way in the future, but that doesn't stop us accepting donations of books we can offer in the future to researchers. If you have some books you would like to donate, please contact us.